As a high school student-athlete, I dedicated an immeasurable amount of time to my trade. Not academics, but soccer. Countless hours spent practicing, playing, and watching soccer. While many have professional aspirations of professions ranging from law to medicine, heading into my freshman year in college my sole ambition was to be a professional soccer player. I tore a number of ligaments in my knee, including my ACL. Not only was my season done, but also from my perspective, so were my aspirations of becoming a professional soccer player. From all the information I had ever received on serious knee injuries, most that had such injuries had never returned to their previous level of athleticism and competency in the sport. The 20+ years of time and effort I put into soccer were at the moment, all for nothing. However, after getting over the shock of my injury, I started to believe there was a glimmer of hope. 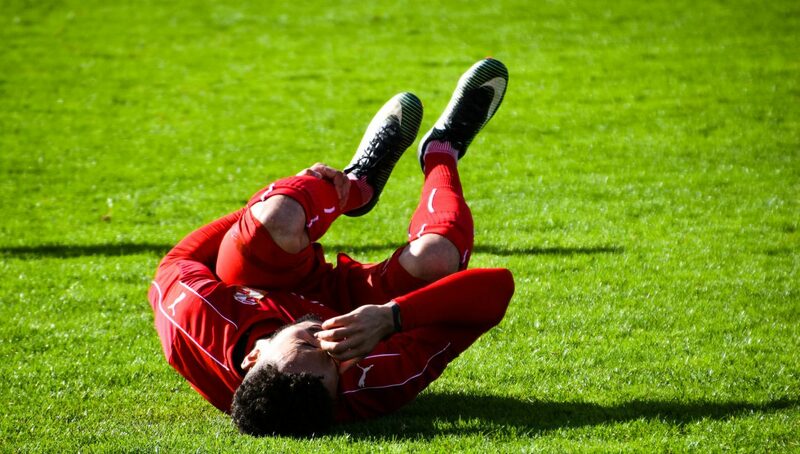 I had seen many friends and teammates fail to fully recuperate after suffering knee injuries, but many of them were injured in high school. Perhaps inadequate facilities contributed to their inability to get back to their previous levels. Since I had access to Division I world-class rehabilitation facilities, maybe I could rehab more effectively than they did. And maybe if I rehabbed well enough, I could still achieve my lifelong aspiration of going pro? Three days after my surgery, I was up (albeit still bit out of it from the pain meds) and ready to begin my rehabilitation. It started easy, where I was simply asked to try and bend my knee slightly, and taught how to properly use my crutches. The rehab because increasingly rigorous from there. Two months in, the team doctor told me that my rehab was progressing at an unprecedented pace. At this rate, he told me, I would be playing soccer in another month or so. Three months into my rehab I was sprinting, and before the four-month mark, I was practicing and playing full-speed soccer. Soon after that, I was playing in games. Throughout my recovery, I never felt that the rehab timeline quoted to me by the team doctor was correct. I knew that it took 6-12 months to come back from a knee injury, and given the surgeon had characterized my injury as “very traumatic,” my expectation was that my recovery would take 9-12 months. While I was excited to be back and playing, the fact I rehabbed so quickly filled me with apprehension and doubt. But given the influence of the team doctor and my coach, and their insistence that I was prepared to play, who was I to say no? It is also worth noting that my ego played a role in this; after all, I wanted to come back. So there I was, approximately three months after surgery, competing like my injury never even happened. I wish I could tell you that everything truly went back to normal, but that’s not the case. My early return to soccer carried significant implications for my athletic career, and my overall life. From a playing perspective, I never regained full confidence in my knee, and by extension, my athletic capabilities. Confidence is everything for an athlete. Having been a more athletic player, my greatest asset was therefore neutralized. The first months post-recovery were the most difficult, but my lack of confidence in my athletic abilities stayed with me for the rest of my career. Partially because I am very analytical and in part because of my injury, I began over-analyzing everything when I played. This made me completely ineffective on the field. My first knee injury also wasn’t my last. I suffered serious injuries later on in my career. Looking back, I believe that because my rehab was so short, my knee was weak and more susceptible to these future injuries. My injury and my inability to fully recover also had an impact on me socially. Soccer was what I knew and what I did (very well I might add). It had been my source of happiness, and my source of confidence throughout the duration of my life. If you asked my family and friends, they would unquestionably state that after my injury, I was a significantly less confident and happy person. This general lack of fulfillment in life translated to my academics, which suffered as well. 1) You know your body better than anyone else – Beyond my injury, coaches push their players to an incredible extent these days. I have seen people pass out from heat exhaustion, continually playing with ankle injuries that only end up exacerbating the injury, and more. You know your body the best. Short-term gain (or perceived gain for the team, notoriety, or for the desire of the coach for you to play) VERY rarely results in long-term benefit. Be Smart. 2) Be cognizant of the influence of coaches and other older professionals – Your coaches, trainers, athletic directors, etc. will be very influential people in your life, and will ultimately have material impact on who you become. Always be cognizant of their influence, and always be able to think for yourself. Some influences are not so positive and can have an untold impact on you. Protect yourself from negative influences, and form a strong support system (teammates, family, other members in the community not affiliated with sports) to help you through any critical decision-making process. 3) Diversify – When you go to college, truly become a student-athlete. As my story suggests, being so invested in one aspect of your life can be deleterious for you if things go wrong. The US is known for the strength of its educational institutions. Engage in academic and different social endeavors in order to become a truly well-rounded person. 4) Always consider a future without athletics – Most people have heard this many times over, but I have seen many student-athletes (including myself) fail when it comes to this. It’s not just the athletes who have 100% focus on being a professional athletes. Even athletes who know they won’t/can’t go pro often don’t take the academic and professional development aspects of college seriously enough. Think about what interests you, and utilize the many resources in college to figure out what life post-school could be for you. Start early and enjoy the process. Soccer didn’t turn out the way I thought it would. I couldn’t control my injury, just like you can’t control yours. But I could’ve approached my rehab situation differently, and if I had, it’s hard not to wonder if my goals of becoming a professional soccer player would’ve become reality. Know your body, and have the strength to do what’s best for you long-term.